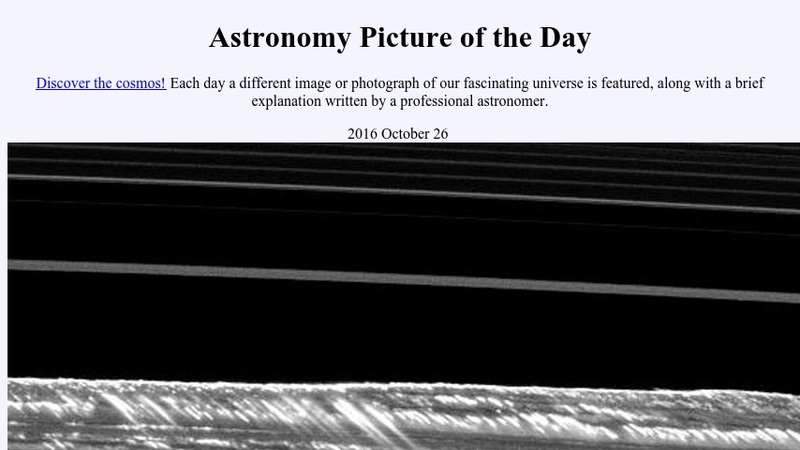 Each day a different image or photograph of a celestial object is featured. Pictures are selected for their particular beauty or astronomical interest, and each one is accompanied by a brief caption written by a professional astronomer. Links to additional information are embedded in the text of the caption. Previous pictures of the day are archived in reverse chronological order dating back to June 1995.